Maybe magazines don’t make for legitimate book reviews, but a couple of upscale pubs have some critical book-like coverage of some critical issues. National Geographic, in April 2010, covered the issue of water in the developing world with a special; issue “Water: Our Thirsty World” with a worksheet “Hidden Water” about how much water is consumed with ordinary consumer items. This blog had covered this topic on June 2, 2007. The loss of mountain glaciers to global warming will exacerbate global warming. Then the June 2010 issue heralded the reader with “Greenland: Ground Zero for Global Warming.” There are two big articles, “Melt Zone” by Mark Jenkins, and “Viking Weather” by Tim Folger. Greenland has been warmer in the past, during the time of the Vikings (something we started studying history with in grade school). There are illustrations describing cryoconite, a mixture of ice and water with debris blown in from drier places, reducing the reflectivity of the ice and increasing the speed of melting. The June 2010 issue of Scientific American weighs in on these problems, with a feature “12 Events that will Change Everything and not in the ways you think”. One of these events is indeed the melting of the icecaps (a “polar meltdown”), particularly Greenland. But some of the others were interesting, too. One was the sudden arrival of extraterrestrial intelligence, in a very public way. Most interesting is the possibility that the Hadron supercollider finds extra dimensions. 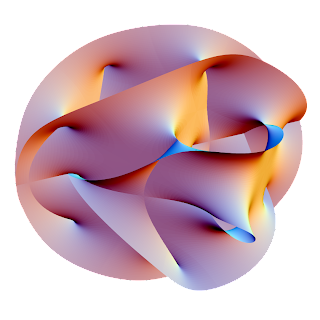 Earlier articles in magazines like Discover have said that the reason you can’t be in two places at the same time (whereas subatomic particles can), is gravity, but the way gravity works in other dimensions gets interesting. Possibly that would be the portal to other worlds (the “reconciliation” between dominions in Clive Barker’s novel “Imajica” (1991) which seems to make more sense all the time). Other ideas are the creation of life (without procreation) and room-temperature superconductors. Discover, in June 2010, has a “5-year energy fix” : Micro nuclear power plants, bloom boxes, “clean” coal (of sorts), using the hydrogen inside coal; and a smart grid. There’s also a new view as to whether we have already found life on Mars (by Andrew Lawler).